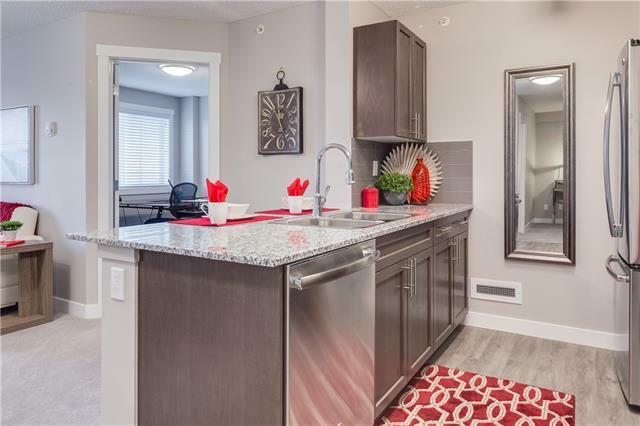 Immaculate 2 bedroom+DEN for sale in new CONCRETE building NW Calgary community of Kincora! 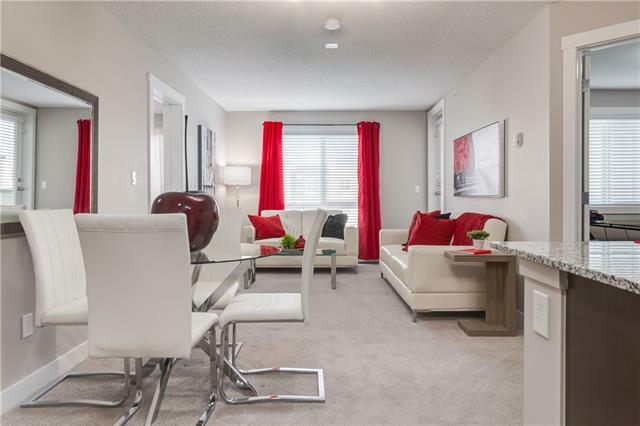 The OPAL floorplan by the Carlisle Group offers a modern open concept living space with Master ensuite and large balcony. This unit includes one TITLED underground parking stall. Please note that some of the photos are of the show suite. Actual unit may vary. 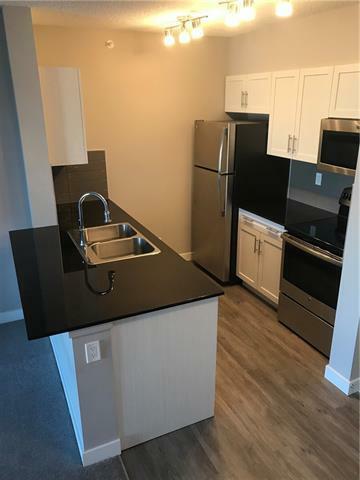 This unit has white cabinets and black granite countertops. Unique opportunity to own in a CONCRETE building. Don't worry about noisy neighbours as the concrete cuts out the sound from other units. Fantastic location with schools, playground and shopping nearby. 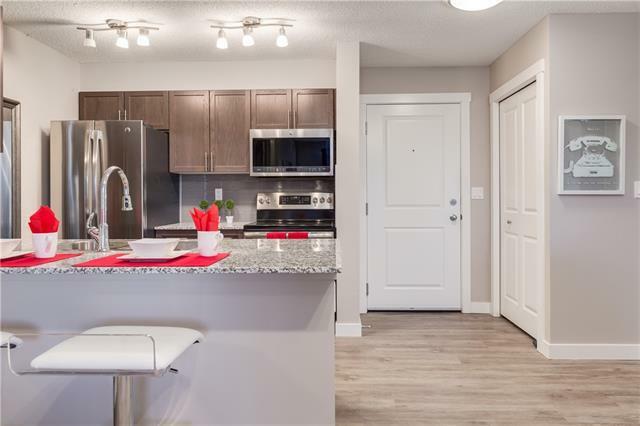 Quick access to Stoney Trail, Shapanappi and Beddington. Call today! Listing provided courtesy of Century 21 Elevate Real Estate. © 2019 CREB®. All Rights Reserved.